The BC Lions are going back to the Grey Cup. 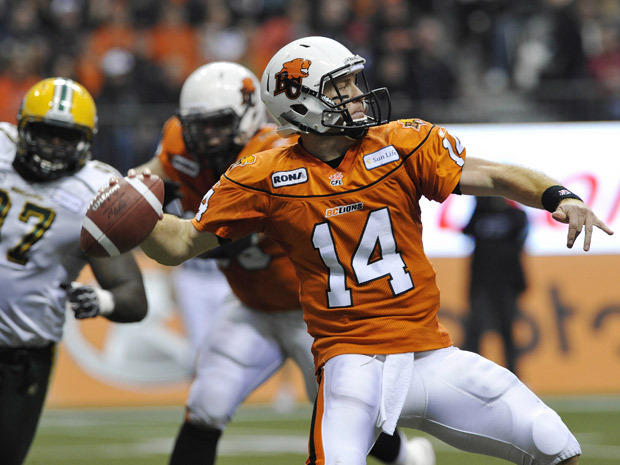 Quarterback Travis Lulay threw two touchdown passes and ran 61 yards for the game-clinching score as the Lions rolled to a 40-23 win over the Edmonton Eskimos in the CFL West Division final at BC Place Stadium. The Lions will now host the Winnipeg Blue Bombers in the Grey Cup at BC Place on November 27, 2011.